Teenage vlogger Charlotte Eades died while fighting an inoperable brain tumor back in 2016, but two years after her death, her heartbreaking story is going viral once again — thanks to a video that was posted to her YouTube channel. The video began going viral after recently being posted on Reddit, and it features a montage of clips that summarize the years Eades spent fighting brain cancer. Eades was diagnosed with anaplastic astrocytoma, a rare form of brain cancer, in 2013 and began vlogging shortly after. 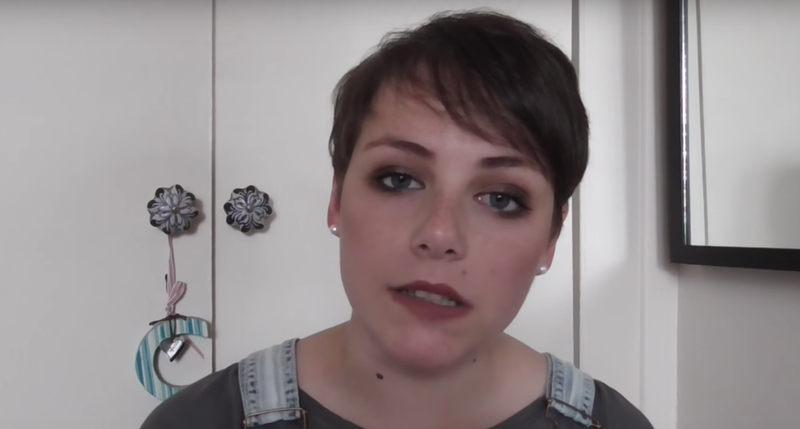 She explains in her very first video that, after being diagnosed with the disease, she searched the internet with hopes of finding other cancer patients documenting their experiences and offering up advice. She didn’t have much luck. That’s when Eades decided to create a channel of her own. "I'm here to be the sort of 'guru of cancer' if you like," she says, "and answer questions about hair loss, medication, socializing, friendship — all things that cancer affects. But, most of all, the daily life." During the time Eades spent vlogging, she nicknamed her brain tumor “The Terminator” because of how difficult it was to fight. She also frequently gave her subscribers updates on her condition, speaking freely about the side effects of her medications and treatments. Her story was inspirational to many, but by late 2015, the astrocytoma that Eades was diagnosed with three years prior transformed into a stage IV glioglastoma multiform. According to the teenager’s mother, the right side of her body was paralyzed, leaving Eades unable to talk and walk without assistance. By the final month of her life, the videos she continued to upload featured voiceovers from her mother who gave updates on her condition. Eades passed away on February 24th, 2016, shortly after her 19th birthday. Her family continues to update her YouTube channel regularly.